I bloody love perfume I do and do you know what I love more than dead expensive fancy perfume? Affordable perfume that you can actually use without calculating how money you’re spraying on yourself; dya know know what I love more than affordable perfume? 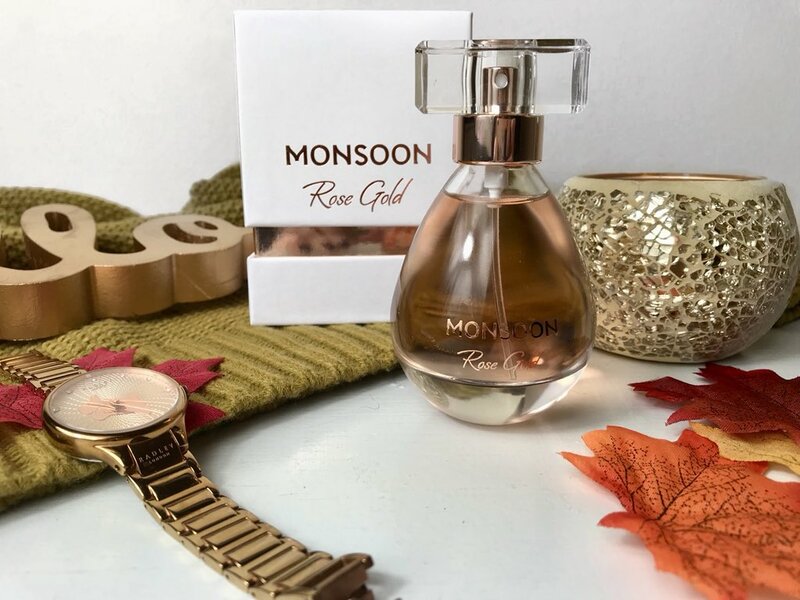 Monsoon have launched a perfume that smells like heaven, lasts the day and doesn't leave you filled with guilt after every spritz. For £35 you can bag yourself 100ml of Rose Gold Eau De Parfum that comes in the most blogger packaging I’ve seen in my life. 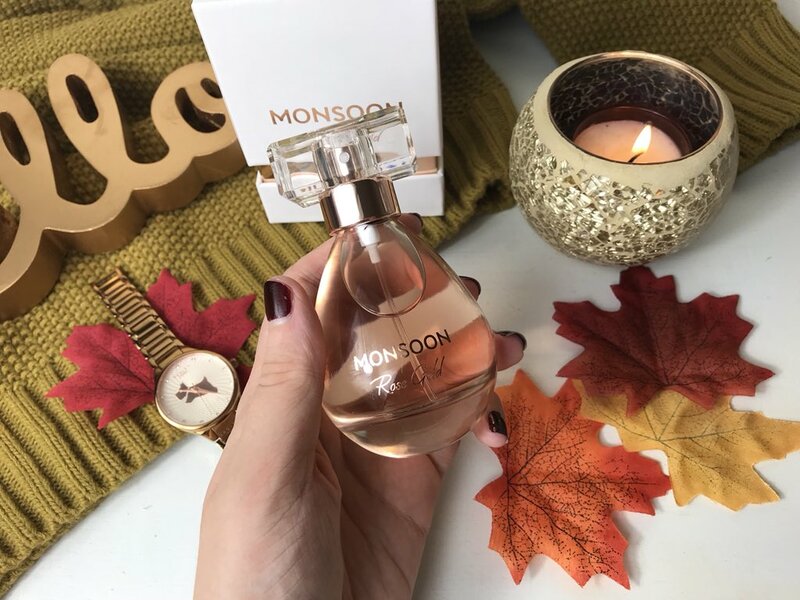 I mean, the name alone is enough to get beauty bloggers to prick their cat ears and the bright white box with rose gold detailing is just made for Instagram and the bottle is elegantly simple, oozing class and definitely looking like it cost you a fair bit more than thirty five quid. But what does it actually smell like? Dead nice would be my usual answer whilst probably spraying you in the face but I’ll try and be a little more professional here; the top notes are citrusy and officially described at ozonic with hints of fruit and mix of gentle floral notes rose and cyclamen. The floral and fruity fragrances are complimented with woody base notes of Balsamic Amber and moss that give a warm yet sweet feel to the fragrance. I think the combination of fruity top notes and earthy base notes make this perfume ideal for both day and night use and neither too heavy or light for either. As I mentioned above, this fragrance really does last. Whilst the top notes provide and instant hit of fresh fragrance, the woody base notes really develop and sit on the skin lasting a good eight to ten hours before a top up is needed and that’s only because I personally like to always smell…perfumy? Also, as a random side note, my Mum who has almost polar opposite perfume preferences to me also really likes this scent just showing how appealing it is. Where can I get some of that?